Iowa State University will host two career fairs from 12-5 p.m., Wednesday, September 26. The fairs are targeted to Iowa State students but all job seekers are welcome to attend. 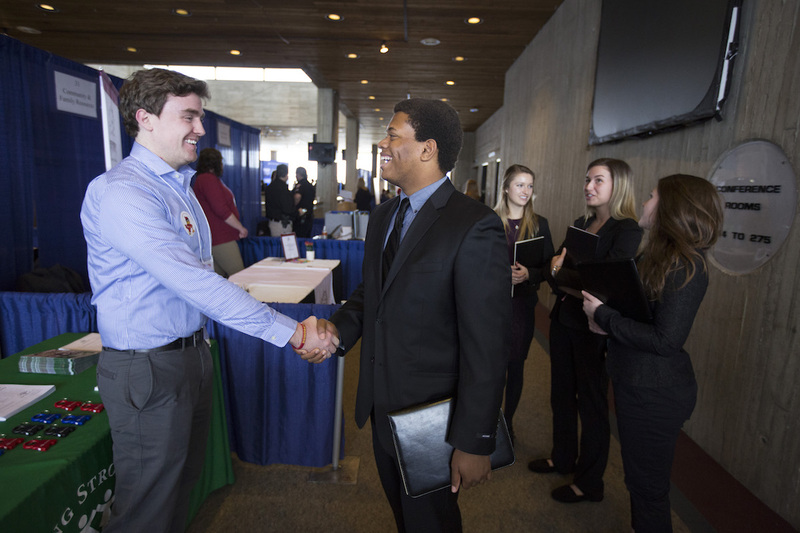 The Ivy College of Business, the College of Human Sciences and the College of Liberal Arts and Sciences will host the Business, Industry and Technology Career Fair at Hilton Coliseum. The College of Human Sciences and the College of Liberal Arts and Sciences will also host the People to People Career Fair concurrently in the Scheman Building. Nearly 300 employing organizations are registered to participate in the career fairs this fall, which drew more than 5,000 attendees last year. Students and job seekers can explore career opportunities, gather information about employers and their needs, and apply for internships, co-ops, and full-time positions. The Business, Industry and Technology Career Fair addresses a wide range of business sectors. The People to People Career Fair focuses on career opportunities within the fields of social and human services, health and wellness, government, hospitality and event management as well as professional schools in the fields of health and law. Photo booths will be available from 1-3 p.m. at Hilton and from 2-5 p.m. at Scheman for Iowa State students who want professional photos taken. On September 27, the colleges will host an Interview Day at the Memorial Union for Iowa State University students who have signed up in Iowa State’s CyHire System or directly with employers. Interview Day facilitates student interviews with employing organizations for full-time positions or internships. Last fall, more than 850 student interviews took place the day after the career fairs. Students can review participating employers in CyHire. Employer registration is also available through CyHire.